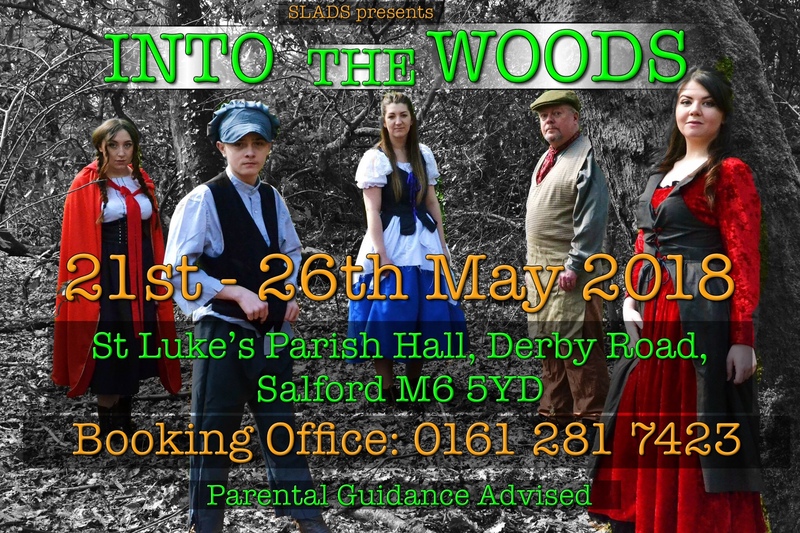 Do you dare to go INTO THE WOODS, where witches, wolves and giants appear? 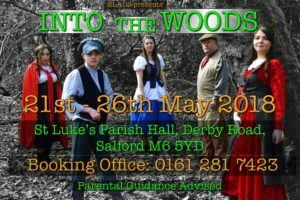 The SLADS production of this Stephen Sondheim classic starts on Monday 21st May and runs until Saturday 26th May at St Luke’s Parish Hall, Salford M6 5YD, starting promptly at 7:30pm. Tickets are Adults: £6.50 Concessions £5.50 (Box Office: 0161 281 7423) but this is not a pantomime so be careful what you wish for!